- Record swings in HD quality. - Analyze instantly with slow motion and zoom. - Compare side-by-side with PGA tour pros, such as Jeff Overton and Keegan Bradley (swings provided by Putnam Investments). - Watch golf lessons from certified PGA instructors. 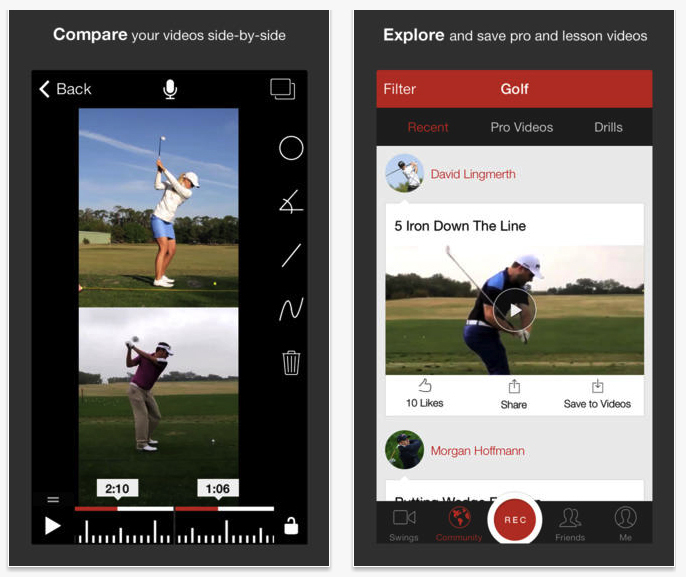 - Create swing reviews with audio commentary, annotations and side-by-side video. - FREE online locker to store your swings and share across your devices. - Share your swings with friends, instructors via email, YouTube, Twitter, Dropbox, Facebook and more. - Import and analyze existing swings from external camera or import via email, dropbox, box and more.